Ever played Portal, Valve’s classic FPS puzzler, and wondered what it would be like to have that gun in a 2D environment? Really? Awesome, because that’s Gateways in a nutshell (and then some). It’s not the first time 2D games have featured a portal gun, since we recently saw this done incredibly well in Mari0 , but Gateways goes above and beyond simple “in one portal, out the other” puzzle solving by not being limited to the popular bullet-less-and-made-for-science gun you start with. 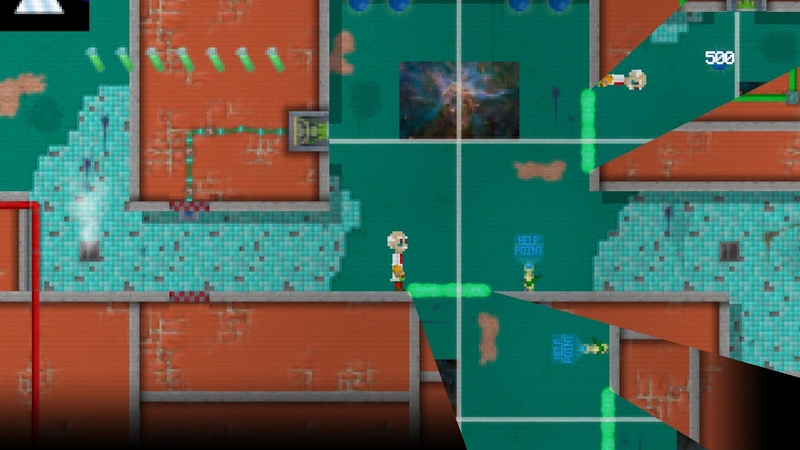 Throughout the game, you’ll come across devices that lets you alter gravity, open time (instead of location) portals along with other crazy stuff required to access certain areas. Every puzzle has a help point next to it where Ed can use power orbs to find out if the puzzle can be solved using his current power ups and abilities. If it can be solved and you’re still stumped then spending more power orbs will provide you with the solution. If you’re not the greatest puzzle solver that ever lived, that’s bound to come in handy – provided you have enough orbs to use it, that is. But no matter what, chances are a mind-boggling puzzler like this is better off with an “I’m stuck so I’d like a hint” system in-game, rather than forcing the player to either not finish it due to being unable to figure out what to do next or resort to the mighty Internet for help (it’s faster than opening a web browser, in any case). I’ve only played the demo so far, but that was more than enough to convince me that it’s easily worth the $10. It’s available from the Smudged Cat Games website (Twitter/Facebook), where the demo can also be found, and I plan on publishing a review on my site once I’ve finished the game – provided my brain hasn’t exploded by then.